Twenty-three-year-old Madison has been running away from the pain in her past, travelling all over the world trying to find happiness, yet her heart leads her back to her childhood home. When she arrives at The Sunshine Hideaway, she discovers the beautiful old building on the tiny island falling into disrepair. So Madison throws herself into transforming it into a stunning wellness retreat. Will this be enough to save the guesthouse, before it’s too late? As Madison embraces life on the close-knit island, sharing wine with old friends and ice-cream with quirky new neighbours, she also finds herself being drawn to shy Connor. Despite their clashes on how to paint the rooms and get ready for the grand re-opening, a heat is building between them. But can opposites attract and find true love this summer? Or will their different personalities bring them heartache… and risk the future of the little guesthouse? 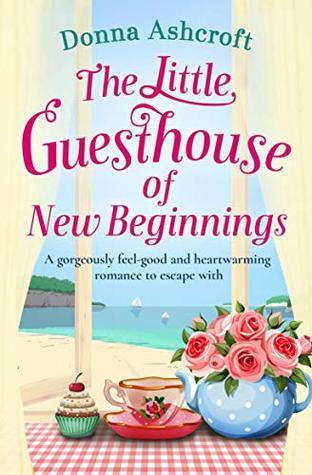 The Little Guesthouse of New Beginnings by Donna Ashcroft is a contemporary romance read that has the main character returning home to Sunflower Island . This one held a lot that I really liked and then some that I didn’t leaving me a bit on the fence. At eighteen Madison only wanted to get away from the small island she grew up on and took off to see the world as soon as she could. Now, five years later at twenty three Madison only wishes to return home but finds things a bit differently than she expected. The one thing not changing on Sunflower Island was Madison’s old crush, Connor. Connor had never been the warmest or friendliest to Madison so his rough personality upon Madison’s return was expected but will these two be able to put the past aside and save The Sunshine Hideaway? Ok, so, The Little Guesthouse of New Beginnings is one of those romance reads that had such a charming setting I couldn’t help but love. I also really liked Madison and couldn’t help but wish the best for her, however I didn’t really warm up to Connor and didn’t actually feel anything develop between them I could root for. Perhaps this was partly at least from starting off the story hiding the truth which I’m never a fan of so in the end this one was just a so-so story to me. Donna Ashcroft was born in London, England and grew up in Buckinghamshire. She went to university in Lancashire and, among other things, worked as a copywriter, buyer, waitress, secretary and marketing manager. Donna wrote novels for over ten years before being published. 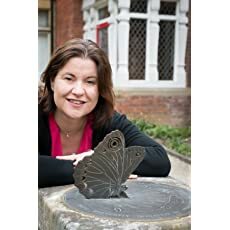 She is a member of the Romantic Novelists Association and was a joint winner of the Katie Fforde Bursary in 2017. Her first two books Summer at the Castle Cafe and The Little Christmas Teashop of Second Chances published in 2018. Such a sweet cover and cute premise. A pity you couldn’t get more into it but I have a bit of a peeve with the secret trope in romance too. Yes. definitely… and I think I just get more annoyed with starting off hiding things so I should probably avoid those. I agree with Nina. It looks and sounds like a winner, but if the male lead is not one I could connect with, then I would be disappointed to Carrie.